As many artists, Agnes Martin underlined the necessity of having a strict schedule, she went to her studio at least three hours every morning, whether she felt like it or not, where she worked on her paintings or drawings in series. She arranged meetings and short trips around her working time, saying that “interruptions are fatal … it is necessary to get completely involved… and then you get your inspiration… I think you have to work hard in order to have inspirations coming”. For these reasons, she didn’t allow anyone to visit her studio while she’s working. It’s through discipline and tremendous disappointment and failure that you arrive at what it is you must paint. You might be a genius, but even so; nothing comes for free. It’s all about work, it’s all about practicing, practicing, practicing – for all of us. There’s nobody who couldn’t stand all afternoon in front of a waterfall. It’s a simple experience, you become lighter and lighter in weight. Anyone who can sit on a stone in a field awhile can see my painting. Anyone who can sit on a stone in a field awhile can see my painting – ha! A wonderful statement, isn’t it?! Ooh, this sounds like a really good book! I’ve never heard of her, so I thank you for the introduction! 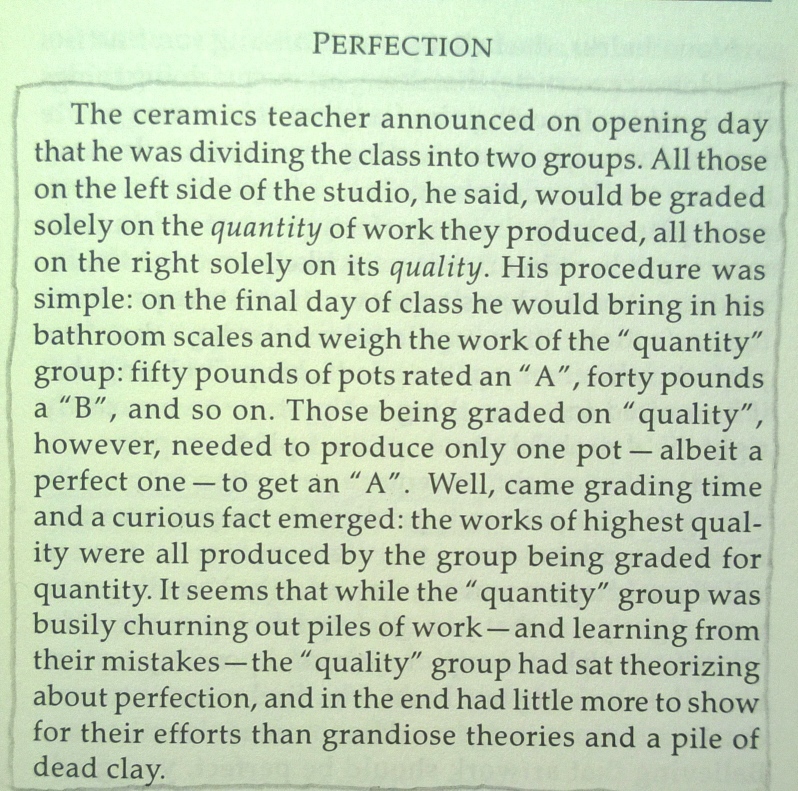 The anecdote about quality vs quantity reminds me of what I tell my writing students: Just write, and write a lot, because it is all practice. Practicing the craft isn’t the only thing that makes good work happen, but it is the most reliable thing that makes good work happen. What a wonderful confirmation to read this!